Appliance package and Ring Doorbell included! Call LA for details on this incentive! Get the best of both worlds in the Hubbell Homes walk-out stand alone ranch villa with over 2800 SF finished space! With both the privacy of a single family home and the convenience of association living this home has it all. 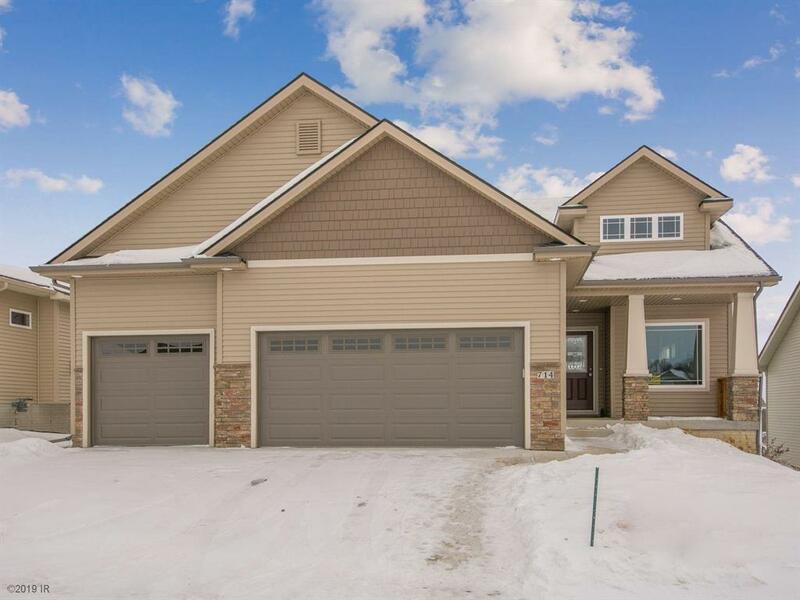 Great main level layout features a large family room with stone floor to ceiling fireplace and a kitchen featuring maple soft close draws and doors cabinets, granite counters, stainless appliances, corner pantry & large breakfast bar. The dinette is open to the ktchn & FR & includes a box ceiling. Convenient bench & hooks in the mudrm makes for the perfect drop zone. Lrg MBR w/mstr bath featuring a dbl vanity, 5' tile shwr & walk-in closet. 2 spare BRs & Spare bath w/oszd vanity finish out the main lvl. LL has 9' ceilings, lrg FR w/wet bar, 4th BR & 3/4ths bath. Still time to customize!